1 Hi, There! I’m T.J.! April 8, 2013 Welcome to Cypress Cove! 3 You may be wondering what happens after kindergarten. 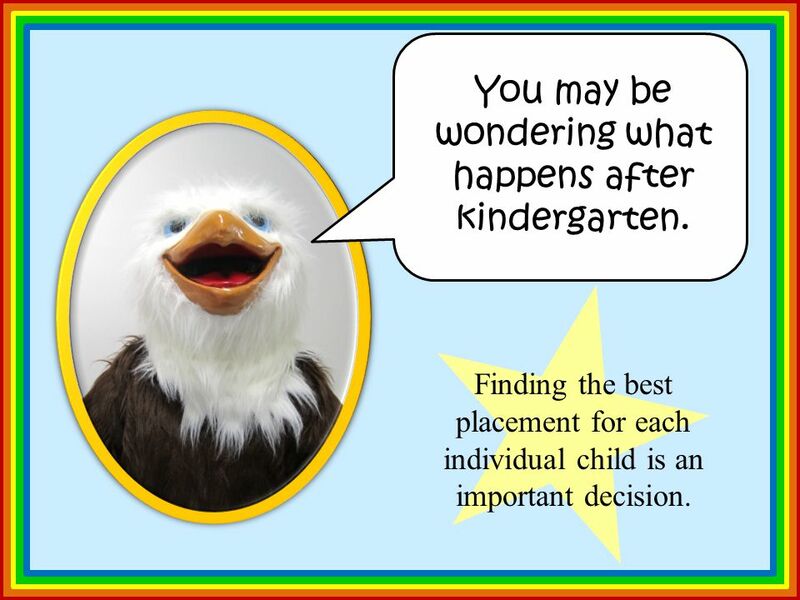 Finding the best placement for each individual child is an important decision. 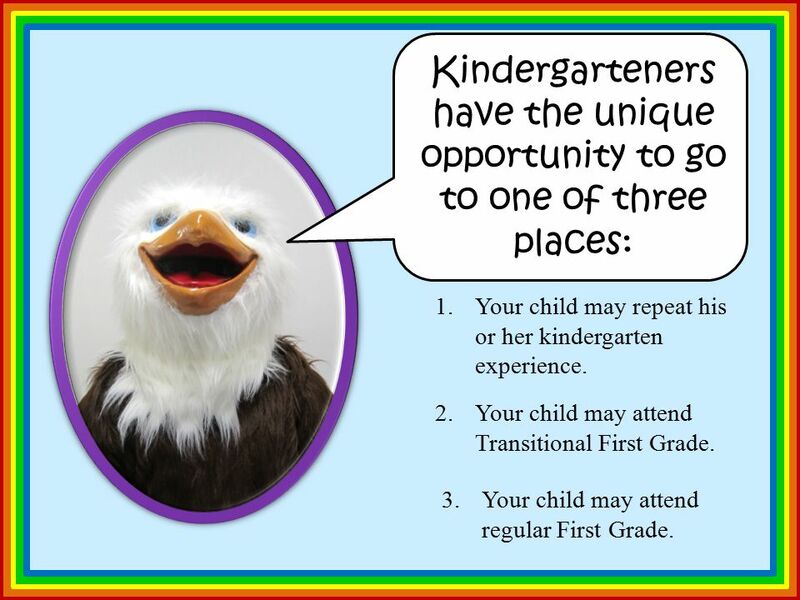 4 Kindergarteners have the unique opportunity to go to one of three places: 1.Your child may repeat his or her kindergarten experience. 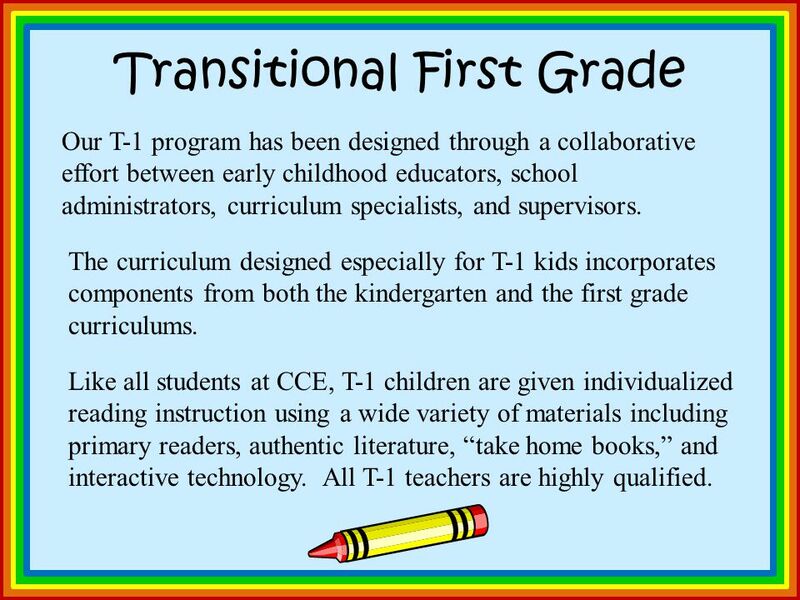 2.Your child may attend Transitional First Grade. 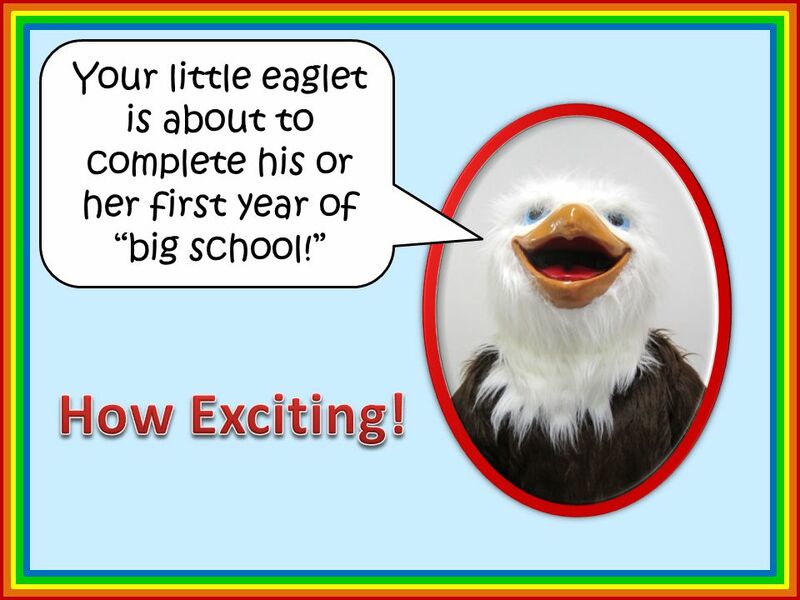 3.Your child may attend regular First Grade. 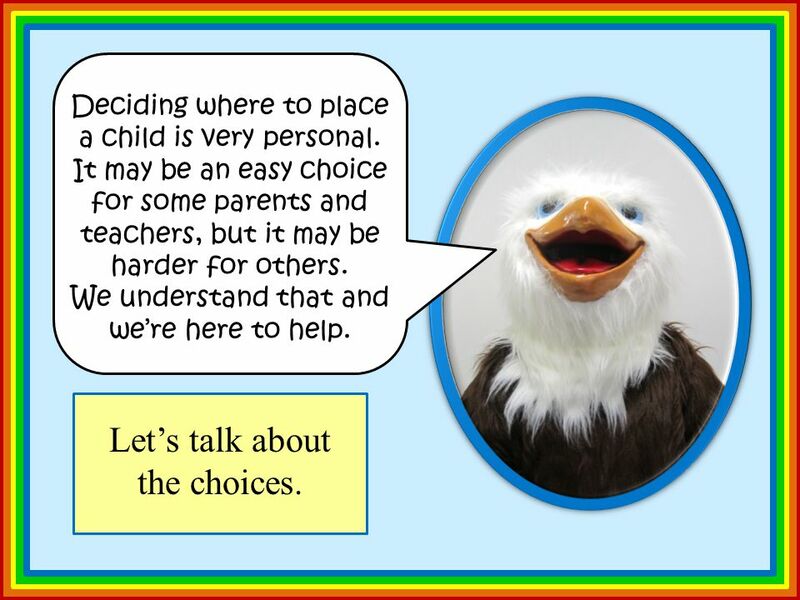 5 Deciding where to place a child is very personal. It may be an easy choice for some parents and teachers, but it may be harder for others. We understand that and we’re here to help. Let’s talk about the choices. 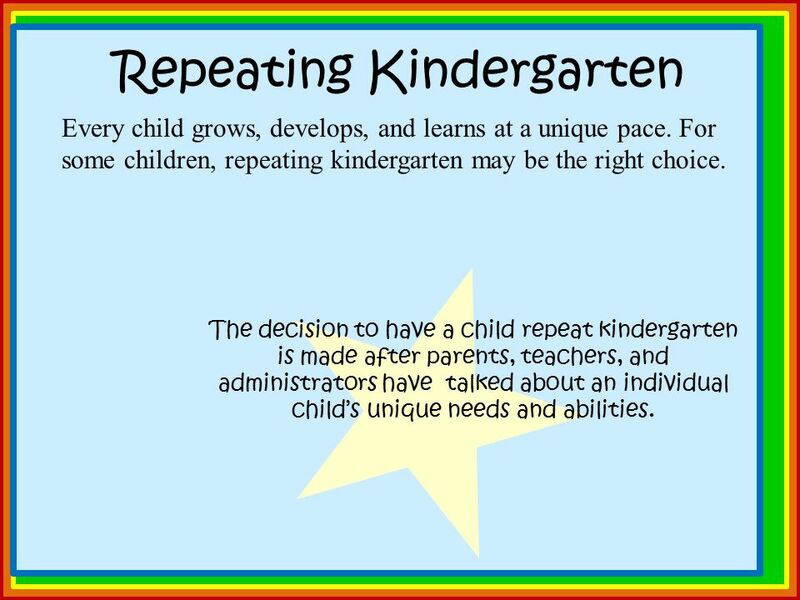 6 Repeating Kindergarten Every child grows, develops, and learns at a unique pace. For some children, repeating kindergarten may be the right choice. The decision to have a child repeat kindergarten is made after parents, teachers, and administrators have talked about an individual child’s unique needs and abilities. 7 Why would a child repeat Kindergarten? 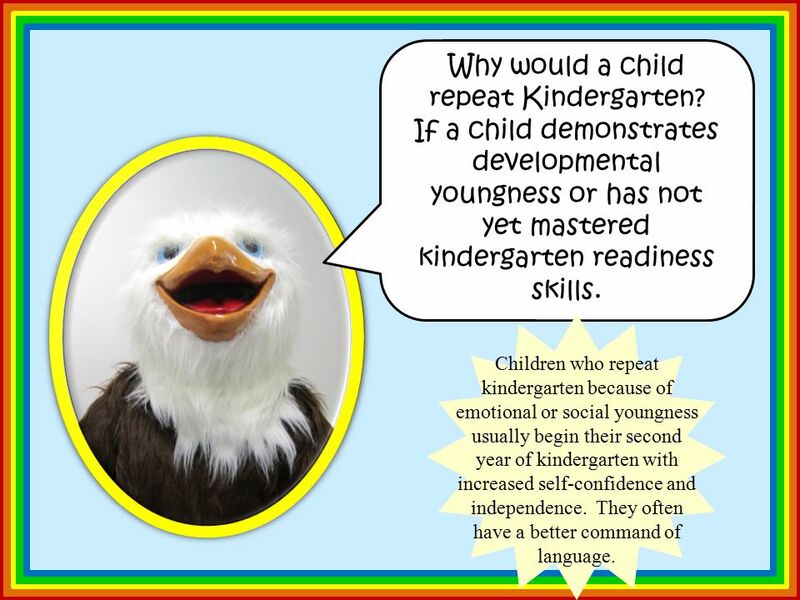 If a child demonstrates developmental youngness or has not yet mastered kindergarten readiness skills. Children who repeat kindergarten because of emotional or social youngness usually begin their second year of kindergarten with increased self-confidence and independence. They often have a better command of language. 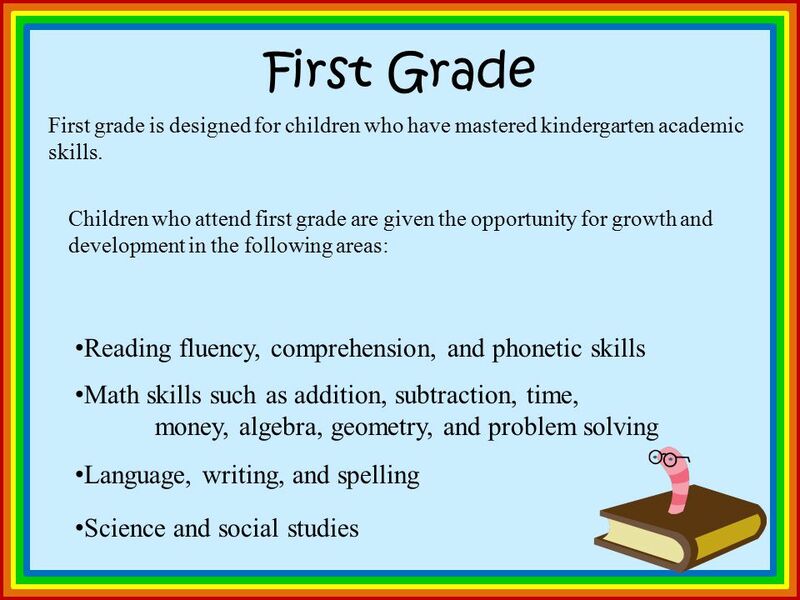 8 Transitional First Grade Some children may have mastered most or all of their kindergarten academic skills, but still seem developmentally young compared to their peers. For these children, our developmental T-1 might be a good placement. 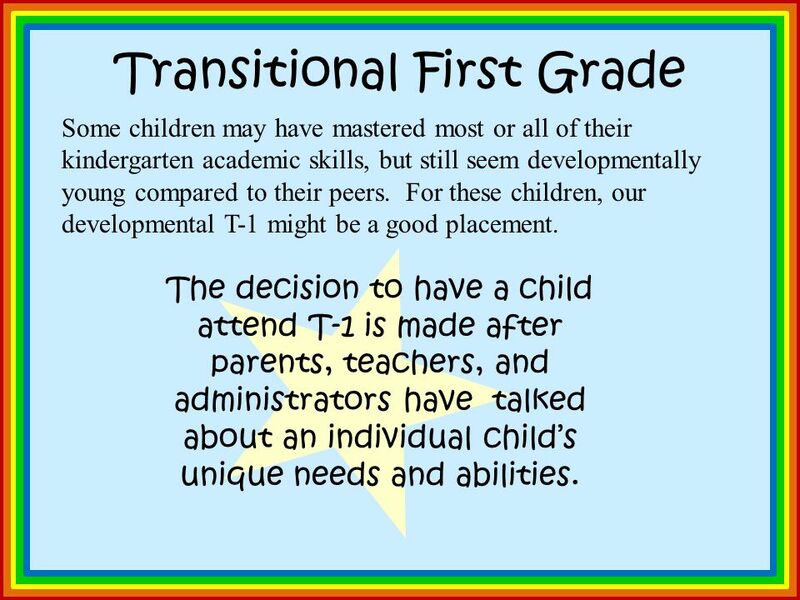 The decision to have a child attend T-1 is made after parents, teachers, and administrators have talked about an individual child’s unique needs and abilities. 9 We may recommend that your child attend T-1 if we have observed academic readiness and developmental or emotional youngness. 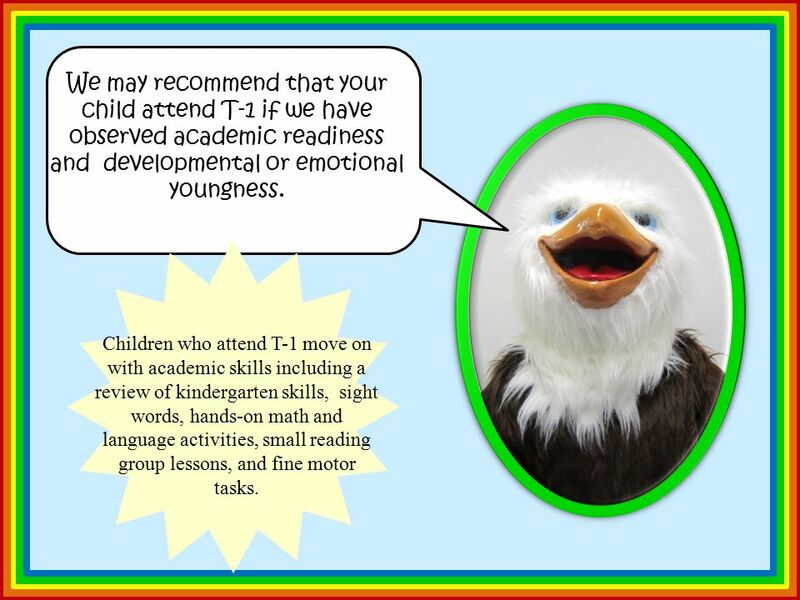 Children who attend T-1 move on with academic skills including a review of kindergarten skills, sight words, hands-on math and language activities, small reading group lessons, and fine motor tasks. 10 Transitional First Grade Our T-1 program has been designed through a collaborative effort between early childhood educators, school administrators, curriculum specialists, and supervisors. The curriculum designed especially for T-1 kids incorporates components from both the kindergarten and the first grade curriculums. Like all students at CCE, T-1 children are given individualized reading instruction using a wide variety of materials including primary readers, authentic literature, “take home books,” and interactive technology. All T-1 teachers are highly qualified. 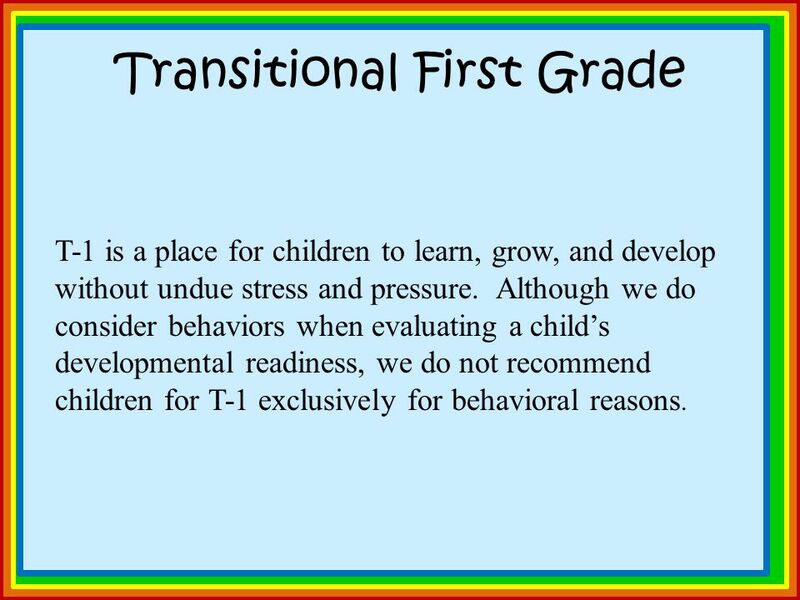 11 Transitional First Grade T-1 is a place for children to learn, grow, and develop without undue stress and pressure. Although we do consider behaviors when evaluating a child’s developmental readiness, we do not recommend children for T-1 exclusively for behavioral reasons. 13 First Grade The main focus of our first grade curriculum is reading and math. A typical first grade day is spent with teachers and students working on uninterrupted instruction and learning for the majority of the morning. The children attend classes such as P.E., music, and art during the afternoon hours. If children struggle with academic skills in first grade, we will put interventions in place to help them become successful. 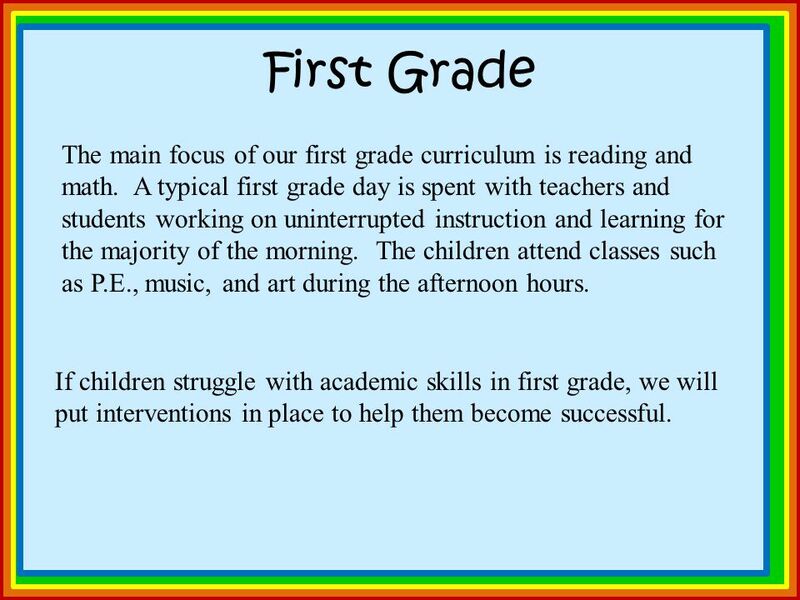 14 First grade is a critical year for your child’s future academic success. 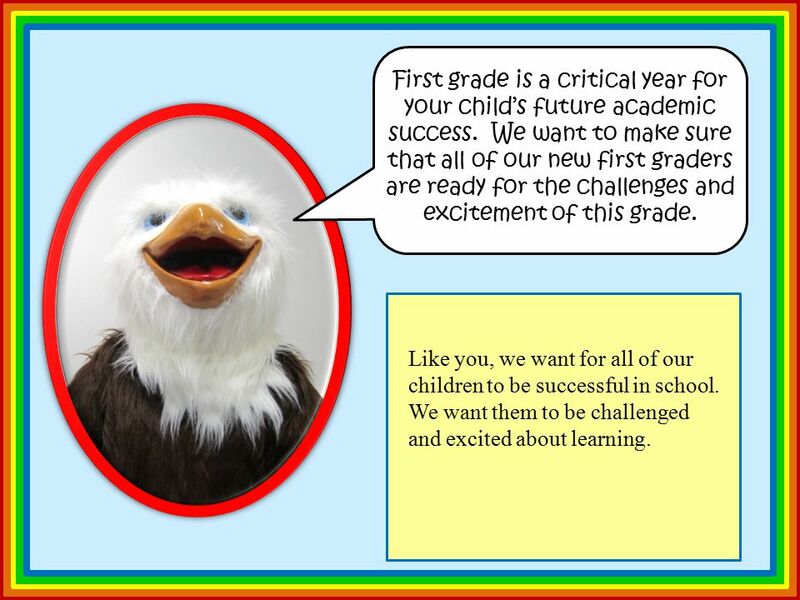 We want to make sure that all of our new first graders are ready for the challenges and excitement of this grade. Like you, we want for all of our children to be successful in school. We want them to be challenged and excited about learning. 15 It’s a Big Decision! 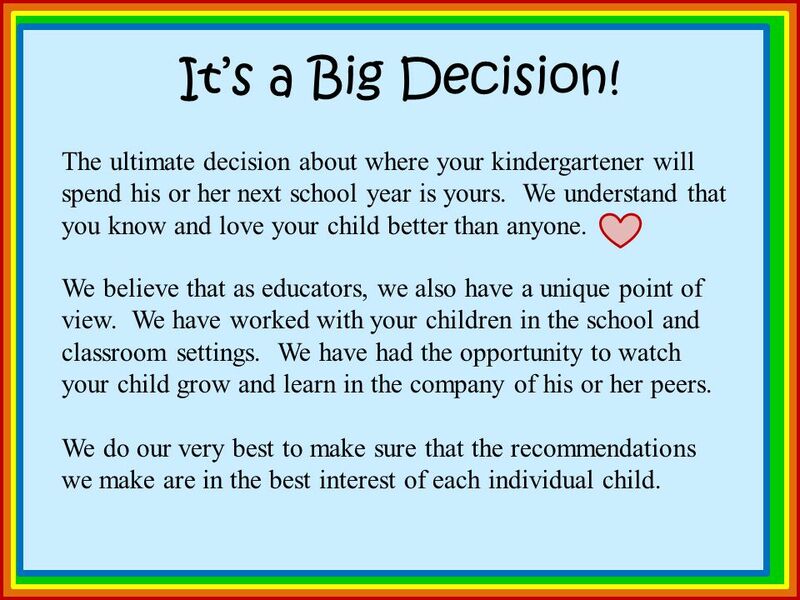 The ultimate decision about where your kindergartener will spend his or her next school year is yours. We understand that you know and love your child better than anyone. We believe that as educators, we also have a unique point of view. We have worked with your children in the school and classroom settings. We have had the opportunity to watch your child grow and learn in the company of his or her peers. We do our very best to make sure that the recommendations we make are in the best interest of each individual child. 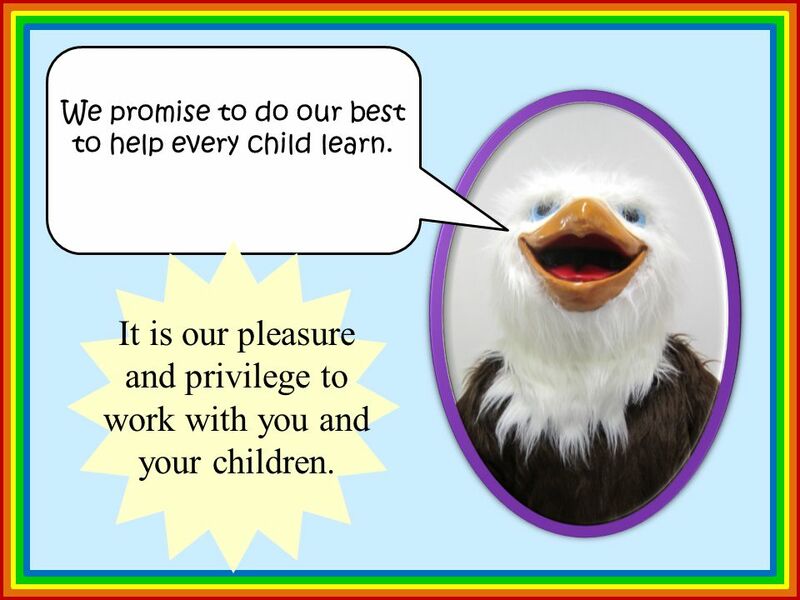 16 We promise to do our best to help every child learn. It is our pleasure and privilege to work with you and your children. 17 Thank you for coming today! 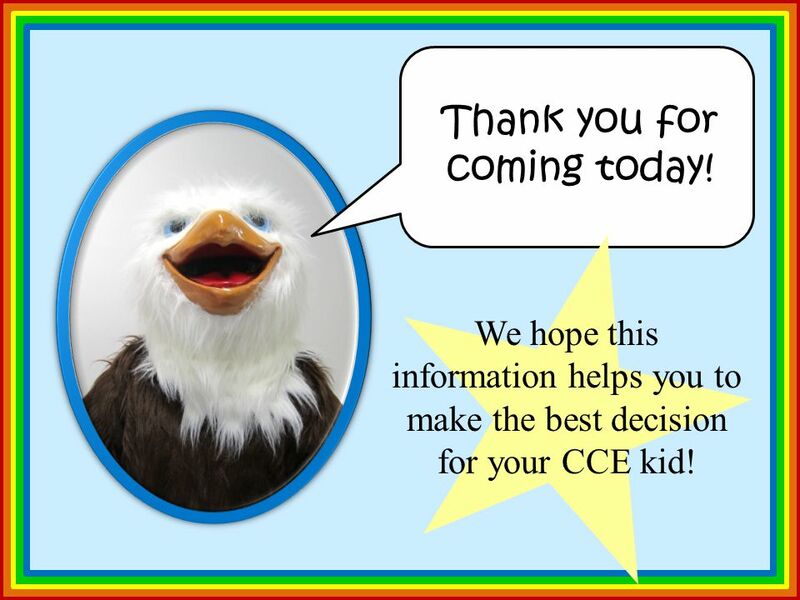 We hope this information helps you to make the best decision for your CCE kid! Download ppt "Hi, There! I’m T.J.! 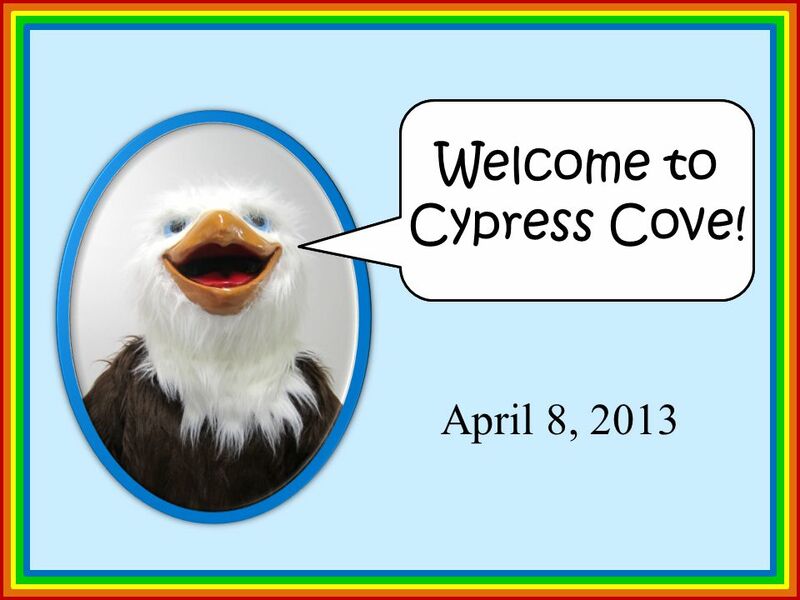 April 8, 2013 Welcome to Cypress Cove!" Its ALL ABOUT The MILK CARTON! Brought to you by:. Welcome to Kindergarten!. Typical Kindergarten Day! Transition to Grade 3. Third Graders as Learners Making the transition from concrete to abstract thinking *Distinguish between fact and opinion *Think. DEVELOPMENTAL KINDERGARTEN ACADEMY A Strong Start for Young Learners Tess Johnson, Coordinator Special Projects, Dublin USD Dr. McCarty, Assistant Superintendent. Welcome to Leila G. Davis Elementary School! Full Day Kindergarten  Beginning with school year , the Swansea Public Schools will join many other districts in offering a full day kindergarten. Welcome to First Grade Parent Night Tuesday, August 28, 2012. Title Talk Title I Program Oak Grove Elementary School. Resource Rooms Resource Room is a special education program for a student with a disability who is registered in either a special class or regular education. Specialized Academic Instruction Pre-School: The What, Why, and How Amy Hull and Tom Jones Byron Union School District.